Its time again for Blogging Marathon, But this time it is going to be different. Yes, from this Edition onwards we will be doing a short marathon every week for the Whole Month. Yup, i have taken a month-long 3-day a Week Marathon. Every Week it will be a Different theme, interesting isn't!!!!! Want to Join the Fun, Check Srivalli's Page for More Details. 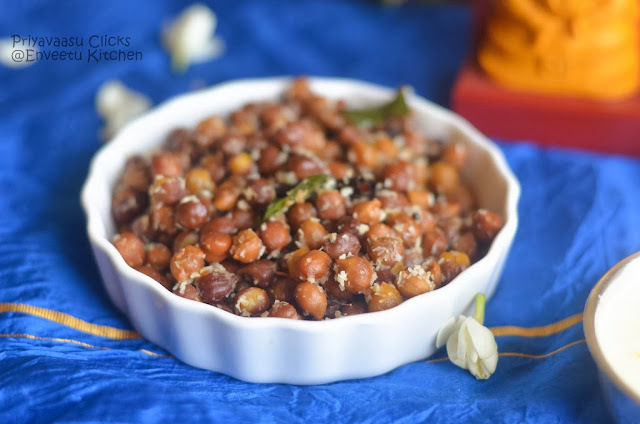 My Theme for this Week is Evening Snacks, So My first post under this theme, is Sundal!!!! Energy n protein-power packed, Light on the tummy Snack!!! It is perfect for the Kiddos and also for the biggies!!!! 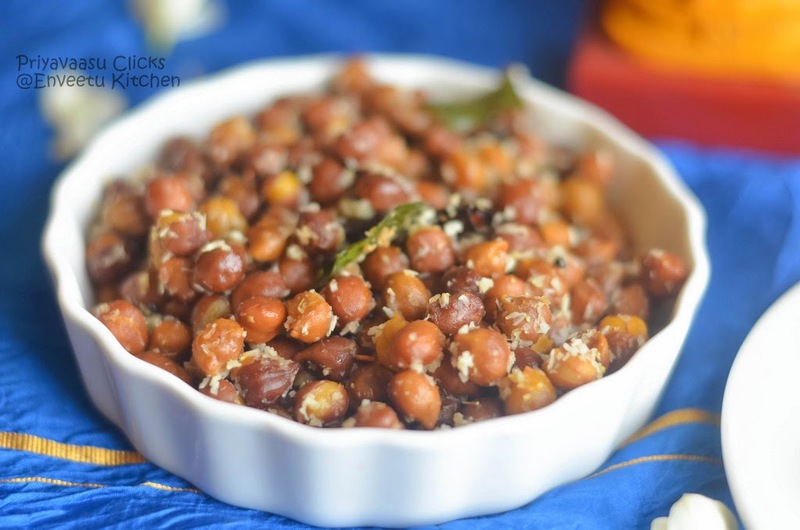 Soak Black Channa/Chickpea Overnight or for 8 hours. Pressuer Cook it with Salt and turmeric for 4-5 whistles or until soft. Dry Roast the ingredients given under 'Roast n Grind' and Grind it to a fine powder in a Mixer. Heat Oil given under 'Tempering' in a Non-stick pan. 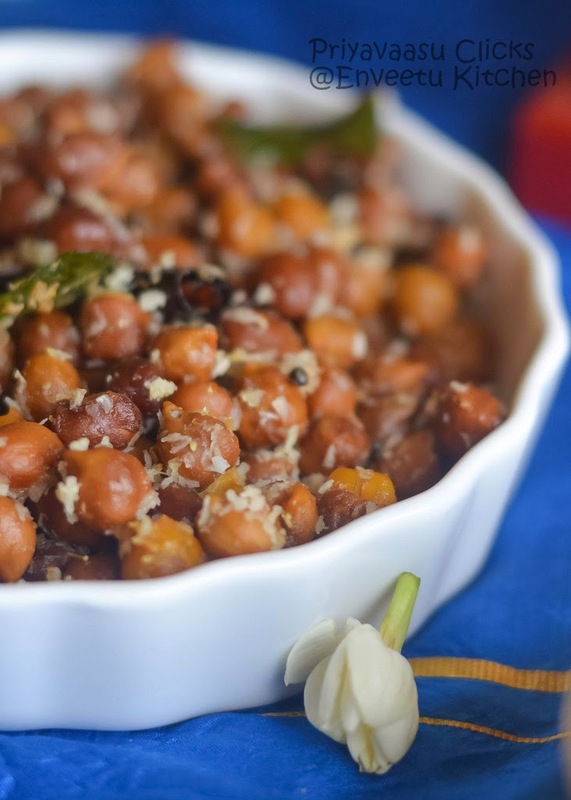 Splutter mustard seeds, hing, if using the dals, add them now, let it brown, Add the Pressure-cooked Black Chana/Chickpea and Saute for a minute or two. Add ground Spice Powder to this and Mix well to coat the Chickpeas. Reduce the Flame and saute for 5-8 Minutes. Add Fresh Coconut, Mix. Take it off the Flame, after 2 minutes. Serve it Warm with their Evening Cuppa. Priya ...are these really black channa dal ...they look so big, I for a moment thought it was some kind of a fruit. Love the color....nice!!! I am remembering my childhood days when these chickpeas used to be one of our regular evening snacks. Protein packed and yummy one. I would also love this snack..
one of our neighbors used to make this often. I will now try this one out as this seems like what she used to make and i could not replicate. Grinding part is new to me. will try sometime. It is one of our fav snacks even today! A very healthy snack!! Very healthy and iron rich snack ican eat them whole day nice one.